My Juggernaut Alpha and Omega Drum Transcriptions are available now! They feature in-depth descriptions and thoughts about each song, tips on performance and getting into the right mindset, exclusive photos, and top-notch transcriptions from my good friend, Alex Rudinger. I’ve been fortunate enough to teach two classes with the great folks over at CreativeLive. The first class, “The Working Musician Playbook” will undoubtably help you navigate this crazy music business and give you the tools to come out on top. The second class, “Studio Pass: Periphery” brings you into the studio with me and Nolly where we show you our methods for everything from drum tuning and microphone set up to tracking and mixing a full Periphery song. 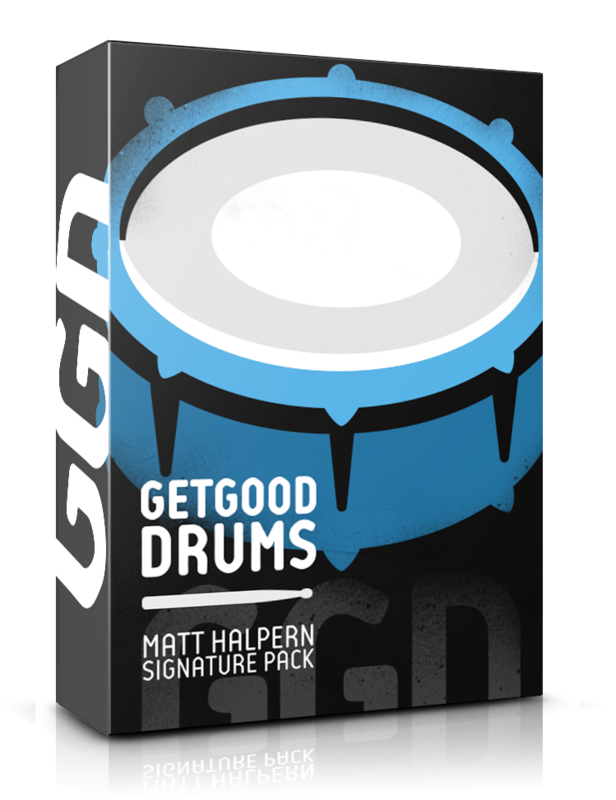 Whether you’re programming from scratch, replacing live drums, or augmenting room sounds, GGD gives you all the options to craft the perfect drum tone: a carefully curated selection of shells, several articulations and the widest dynamic range of velocity layers. Whether I’m on tour traveling from city to city or at home spending time with the dog, I always aim to teach and work with my students year-round. I offer lessons on-tour and online, and you can probably catch me doing clinics somewhere near you as well. Want to book something? Click the button and send me a message! Over the past two years I’ve been working with Promark to develop a drum stick that truly can become an extension of your body on the drums. Drumming is completely physical so it’s paramount to have a stick that can move the way you do. My signature stick aims to accomplish just that. With a sturdy base, short taper, and wide tip you’ll be able to wield this seemingly heavy drum stick with ease while saying to yourself “I can’t believe it’s not heavier”… Check it out here! Mapex Drums and I released the Wraith back in 2015 and it’s since found it’s way on to countless recordings, in venues all over the world, and has won multiple awards including Snare Drum of the Year in the Rhythm Magazine’s online poll. I don’t play any gig without this snare drum and you shouldn’t either. It’s really an honor to be able to make music for a living alongside the other guys in Periphery. We love what we do and we hope you do too. In our online store we offer everything from CD’s and Vinyl to our latest t-shirts, hats, beanies, and coffee! Shop now and check out the goods! I love the opportunity to talk, connect, and inspire. Whether speaking about music, business, entrepreneurship, or life, it’d be an honor to share my insights and experiences with you! If you have a class, conference, or speaking engagement and you’d like me to come speak, please get in touch with me here. Copyright © 2019 Matt Halpern – All rights reserved.